Beautiful cards. I love the black and white. Very cool. I like the black and white. Cool! 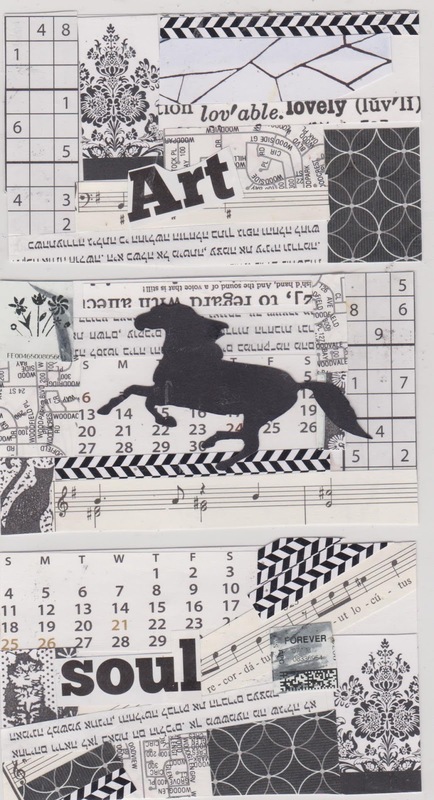 I really like the graphic feel you got by using only b&w ephemera in your collages. Blessings, my friend! Loving the collage and great effect from using simple colours. 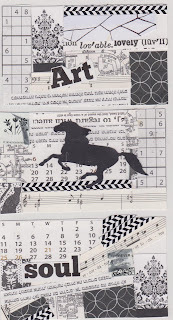 Such lovely black and white projects.. they all sit so well together as a collage and a sequence.